It is too painful to write these stories, so I will let you read the details here. 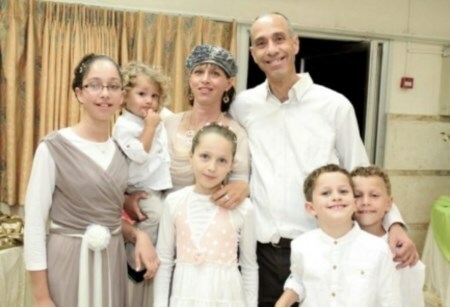 It still isn’t clear whether Baruch Mizrachi, a man who had devoted his life to protecting the Jewish people in their land, was targeted because of his job, or simply murdered because he was a Jew. It doesn’t matter. The question is, when is enough enough? When does the State of Israel decide that the Palestinian Arabs are a hostile enemy and start treating them as such (my guess is that the people of Israel already understand this)? The police will be looking very seriously for the murderers, at least the ones that waited by the side of the road and pulled the trigger. When they find them, will they be hanged as justice demands? Or will they be jailed for a few years where they can take college courses and receive generous pensions from the Palestinian Authority, until they are released either as part of a ransom agreement or because of pressure from the anti-Jewish administration of Barack Obama? When will the State of Israel begin to act on the fact, which everyone knows to be true, that the Palestinian Arab leadership as well as the average Palestinian in the street, is dedicated to the Palestinian Cause of removing the Jewish presence from ‘their’ land, which includes everything from the river to the sea? When will Israelis understand that the Land of Israel, all of it, belongs to the Jewish people, both by historical right and international law? When will they take concrete steps to realize this? When will they stop internalizing the lies of the Arabs and the Jew-hating Europeans and allowing the inappropriate and neurotic guilt of the Left to paralyze them? Ze’ev Jabotinsky explained it 90 years ago. Menachem Begin always understood it. 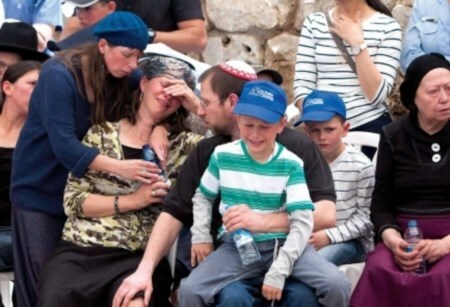 How many families will suffer like the Mizrachis until we finally get it? This entry was posted on Thursday, April 17th, 2014 at 9:56 am and is filed under General. You can follow any responses to this entry through the RSS 2.0 feed. Both comments and pings are currently closed. This is so terribly tragic and terrible. I am full of rage at the murderer(s) and the way this has been so dismissively reported in the US and UK media. I have been against the death penalty most of my life but I do NOT want to read in the NYT about the generous pension the murderer will receive as he “struggles” to get his life back to normal after being in an Israeli prison. And here Vic, you have begun to capture the essence of the anger/rage that many of us feel towards our quisling politicians, who have forgotten what Jewish sovereignty actually means. Don’t ever forget……Jewish blood is cheaper than others. Should you forget this historical fact, the next prisoner release will serve to remind you.